The Desert Moon Hotel and RV Park has been serving the greater Moab area since the Coal Mining days of the early 1930's, with 10 RV hook up sites, 6 tent camping sites, and 4 private rooms available for rent. You could say our little park is pretty "Retro" but you could also call it mighty "Quaint" as it is situated in the little town of Thompson Springs (population 40-50) just off of I-70, next to the Union Pacific Rail Road. 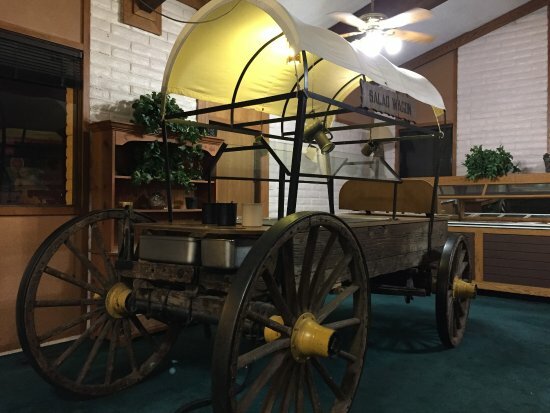 We are located right next to the Old Desert Moon Hotel, which was built in 1936 and served many travelers, miners, railroad workers, truck drivers, and tourists over the years. Shade trees, electricity, water, and sewer utilities are available at each RV parking spot. We also have modern restrooms and shower facilities to accommodate tent campers and smaller pop-ups. Ask us about private rooms available for rent in our old boardinghouse, the historical Desert Moon Hotel. Leave your camper here and go explore. We are the place to park your camper when you want to check out the Sego Canyon Petroglyphs in the Book Cliffs Mountains, or when you find yourself part way between Moab and Green River or Grand Junction. The Arches National Park is less than 10 miles away (north boundary). Canyonlands National park is about an hour south of us. 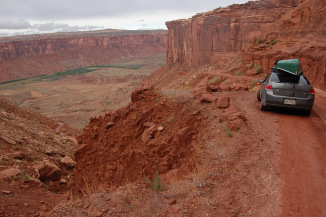 Bears Ears National Monument, near Blanding Utah, is less than a half day's travel. The Colorado National Monument is an hour east, and three Utah state parks (including Dead Horse Point and Goblin Valley) are within an hour's drive from here. We will also gladly consider accommodating folks who want to stay long term. We will be happy to have you stay with us and we will personally be glad to share the local lore, history, special sites, and so forth with you. Thompson Springs began as a railroad stop on the Denver and Rio Grande Western Railroad in the mid to late 1800's. It soon became a shipping point and community center for local farmers, cattle ranchers and sheepherders. This little park is now under new ownership of John Lines, and management by Will & Amber Daniell. It is just west of the Old Desert Moon Hotel, which was built in 1936 and served many travelers, miners, railroad, workers, truck drivers, and tourists over the years. The Rogers family owned and operated the hotel for decades and were/are pillars of the community here in Thompson.